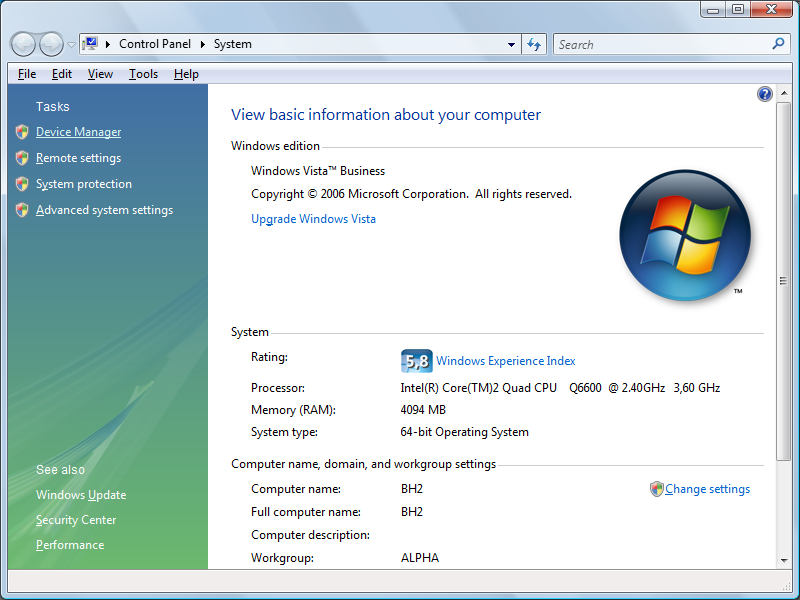 Iomega officially only supports Windows XP (32 bit) for this drive (Citizen X1-DE-USB), but with this procedure I got it to work both the 32 and 64 bit versions of Windows Vista. 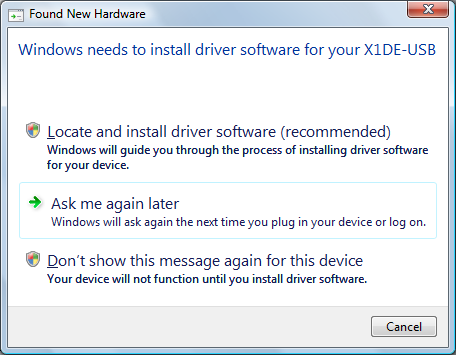 I'm not sure about other versions of Windows; the standard 32 bit version of XP professional doesn't work with this method (it doesn't offer a fitting substitute driver, so the original Iomega driver is still needed). I found out how to do this by looking at the .inf file that comes with the XP driver. It just tells Windows which operating systems are supported and to use the usbstor.sys driver. 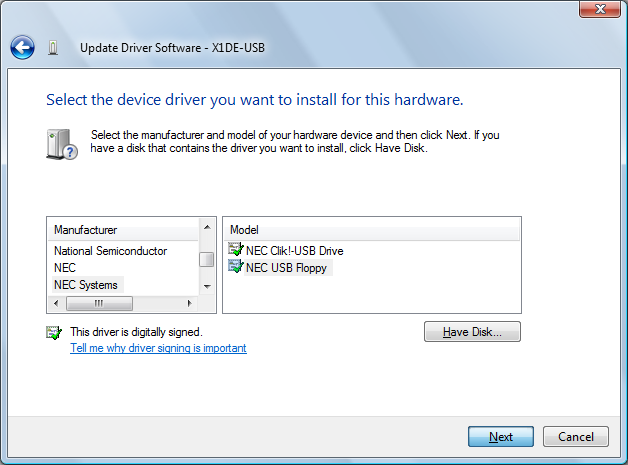 After unsuccessfully trying to get other Windows versions to accept the inf file, I instead tried to find another, similar, device that's supported by Windows out of the box and uses the driver. This worked; we're going to install the drive as a NEC USB floppy drive. Plug in the drive. 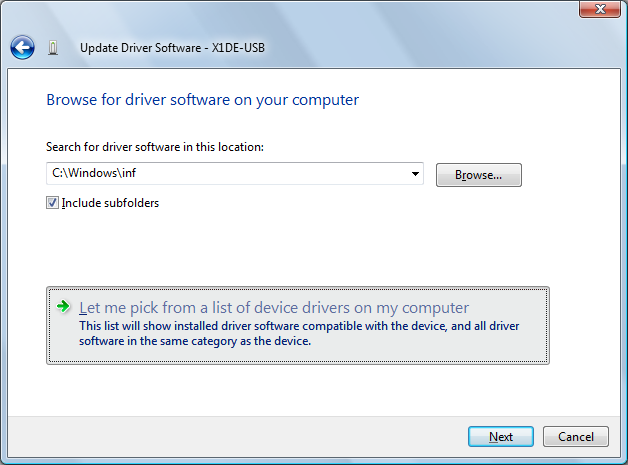 Windows will complain about needing drivers; click cancel. You'll see the non-working floppy drive (disregard the usb data bar thingy). 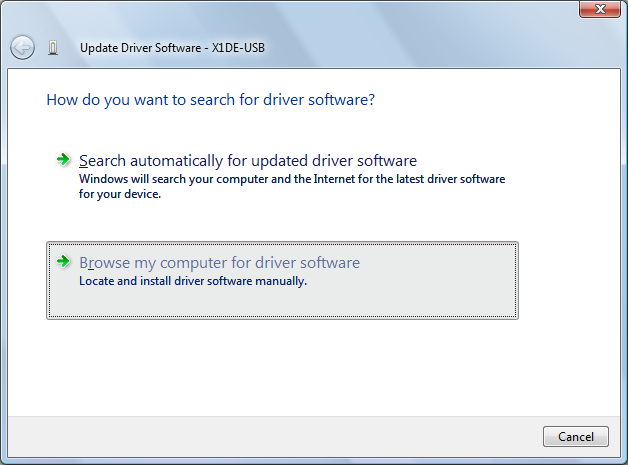 Right-click it and choose "Update Driver Software". Choose that you want to browse your computer for drivers. Choose that you want to pick from the list of existing drivers. 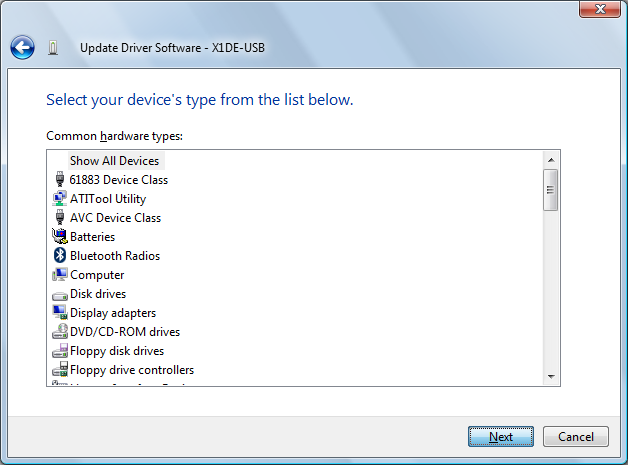 Select the option to list all known devices. 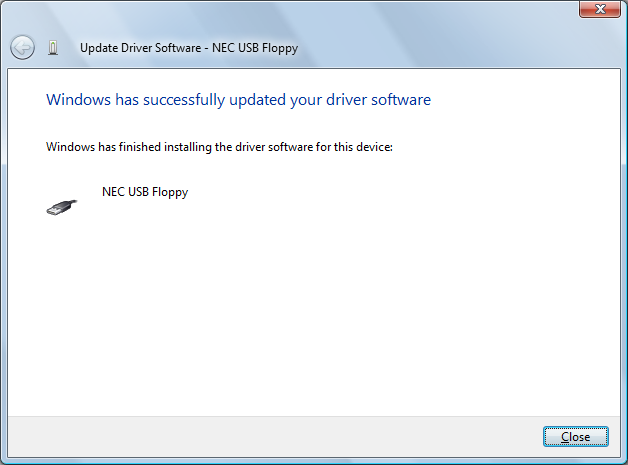 Now select the "NEC Systems" "NEC USB Floppy". 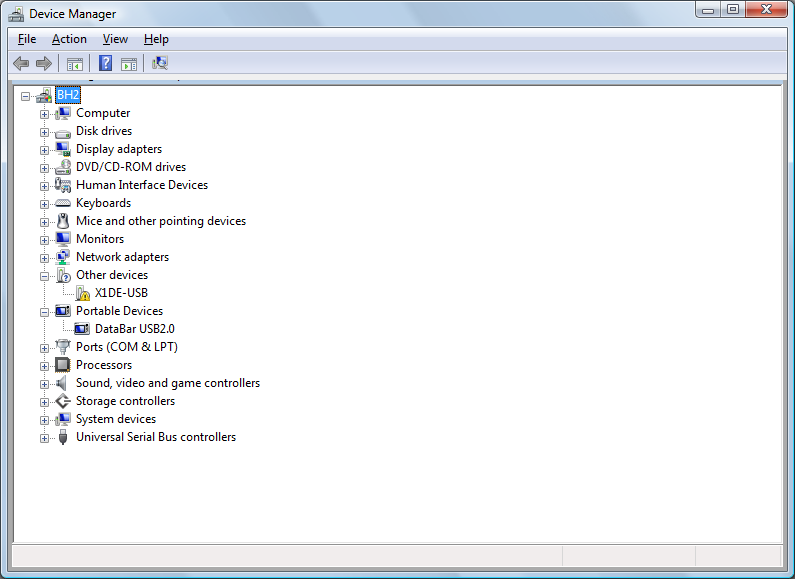 The device should now be installed and working: Windows will detect the NEC device and a X1DE-USB as well. 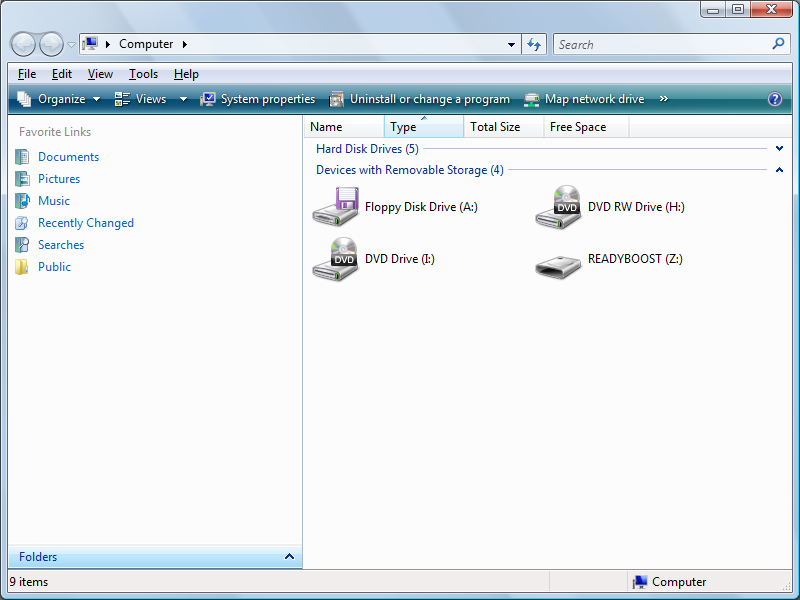 A floppy drive will appear in Windows explorer.